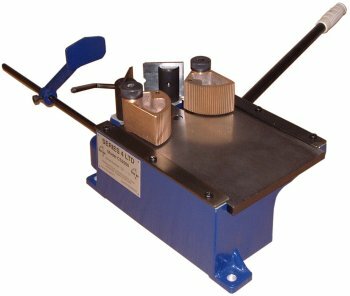 The CS2000 is a robust bench mounted, hand operated Lever Wire Stripper designed to strip many kinds of extruded insulation including PVC, Polythene, Rubber and Nylon. 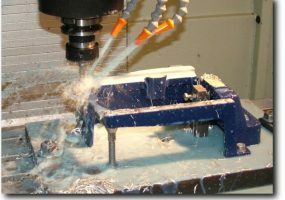 A large selection of standard blades are available and specific blade sizes can be manufactured to order. 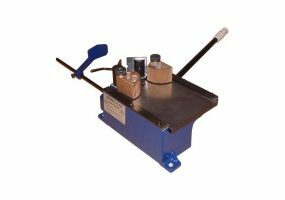 A cable length stop and cable rest plus a simple set-up procedure ensures accurate and repetitive wire strip quality. 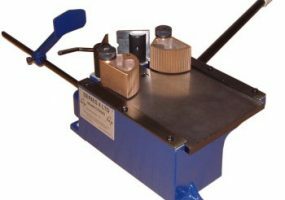 The lever handle action gives excellent mechanical advantage and automatically operates the precision ground die blades and cable grippers in one easy movement giving a clean strip of the Outer Jacket without damage to the conductors. Simple Setup & Stripping Operation. Fit to Blade Holders and Lock in Position. Set Adjustable Length Stop for the Correct Wire Strip Length. Push Lever Handle Forwards to Open Stripping Blades. Lay Cable on Cable Rest and Position to Length Stop. Pull back on Lever Handle, the Cable is Automatically Gripped by the Clamps and the Stripping Blades close to Remove the Insulation Slug. Wire strip length maximum is for one cycle of the unit. Strip length may be increased by cycling the strip (please view the Youtube demonstration videos). also good for stripping flat telecom type cable. made for ribbon, 'D' Telecom, Bell wire etc. 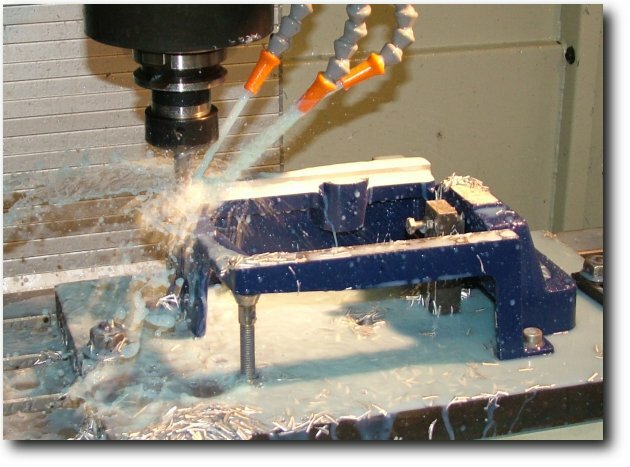 The CS2000 is manufactured in house in the UK by Series 4 - The picture attached shows the CNC Machining process of the casting prior to assembly. Max Strip Length: 86.5mm (Long lengths can be achieved by cycling of the strip, this also depends on cable construction. Min Wire Diameter: 3mm O.D. Max Wire Diameter: 30.5mm O.D.